Home » Featured » To Cork It, Or Not to Cork It? Chances are if you’re reading this blog, you have at least heard of Dom Perignon, if not the man, then at least his legacy in the prestigious Champagne company of the same name. Dom was a Benedictine monk, and contrary popular belief, this monk did not discover the in-bottle secondary fermentation technique responsible for the carbonation found in ‘sparkling’ Champagne wines like Dom Perignon. He did, however, invent something wine-related—the cork—at least, he invented using it in wine bottles. The earliest known usage of cork (as a stopper) was by the ancient Egyptians; Dom, however, introduced this method for stopping wine in the 1600’s. Up until his innovation the accepted method for corking wine bottles was to use wooden stoppers wrapped by olive oil soaked hemp, and these were prone to popping off. Dom revolutionized the industry; the widespread acceptance of cork even leading to standardized bottle openings. Cork comes in seven degrees of quality. The quality depends on the materials used and the production process adopted by the manufacturer. High quality cork is made from oak trees, and nowadays most cork comes from the Oak tree Quercus suber, which is often found in the oak forests of Portugal. There are also less-natural corks that, instead of being made from oak bark, is made from dust and binding agents. The cork type usually differs for fortified, sparkling, and still wines. Let's have a look at a few examples. 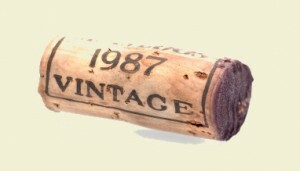 A standard cork — Is usually comprised of a single piece of bark about 24mm in diameter, which is about 6mm wider than the diameter of the neck of the average wine bottle. This ensures a tight fit so that the cork does not dry out and contract. An agglomerate cork — Is basically tiny pieces of chopped cork all bound together by glue. 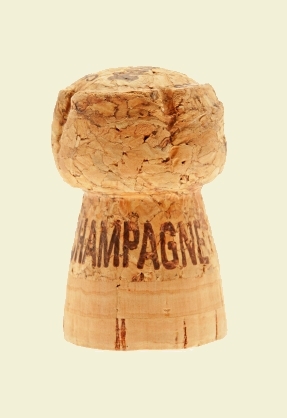 It is the budget stopper made from the waste materials of other, higher quality corks. 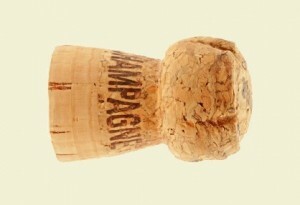 Champagne corks — Are often made from a single base of oak, with the top/crown crown being composed of granules. There is a generally accepted figure of around 1-5% of cork-bottled wines fall victim to what is known as ‘cork taint.’ Although not always the cause, the main culprit for this is a chemical by the name of TCA (2,4,6-trichloroanisole) which, upon contamination of the wine, basically renders the native tastes and aromas to that of a wet paper bag, a wet dog, or damp basement. Because of this undesired consequence to cork, some vineyards are switching to alternative forms of bottle stopping. We will explore those now. There are a few lesser-known alternatives to wine closures. Zork® is a company in Australia that designs and manufactures alternative closures meant to screw like a screw, but also pop like a cork; they are also able to be resealed, truly combining the best of all worlds, save for a slightly higher cost. Crown caps are the traditional bottle cap that you might find on a beer bottle. They offer an exceptional seal, but the downside is that there will no oxidation at all, and, usually associated with sparkling wine type varieties, crown caps eliminate some of the fun and ceremony of popping open a bottle of ‘bubbly.’ Finally we have Vino-Seal® (Vino-Lock® ) a plastic/glass enclosure released by Alcoa. It has been around since 2003 and around 300 wineries have utilized Vino-Seal. The downsides are a pretty high cost (70 cents per closure), the fact that the hermetic seal will completely stop oxidation, also the cost of manual bottling, as automated equipment does not exist outside of Europe. Synthetic closures like the one below were designed to address the TCA problem. Studies like the one done in 2007 by the Victor Segalen Bordeaux 2 University show that injected molded corks offer the lowest protection against the oxidation of the wine, and post-bottled oxidation will negatively impact the aroma and taste. Often times the physical nature of the synthetic stopper will also contribute to reports of a slight chemical taste. In time frames longer than 10 years synthetics were observed by a French study as starting to deteriorate as opposed to their natural cousins who did not show this same deterioration. It should be noted, however, that advanced, next-generation nano-technology stoppers built to replicate the cellular structure of actual cork, aim to handle oxidation better than their previous-generation counterparts by simply copying the natural properties of real oak bark. The most widely known form of screw cap used in wines is a brand developed by the Rio Tinto Alcan company (recently sold to Amcor) called Stelvin®. The brand is so common that the name ‘Stelvin’ has taken on household connotation, with many people, even in the wine industry, referring to any screw cap as a ‘Stelvin closure’ regardless of the brand. There are some distinguishing features which differentiate Stelvin® from the other companies including a long outside skirt, and the use of a PVDC (polyvinylidene chloride) as the neutral liner on the outside or the inside wadding. Unlike synthetic closures, screw caps offer the highest degree of oxidation protection—so much so that it has been accused by wine critics like Jancis Robinson of attributing to reduction, the opposite of oxidation. Something especially affects wines like Sauvignon Blanc. Instead of too much oxygen getting into the bottle, reduction is when there is not enough. The oxidation process is, of course, responsible for creating some of the depth and complexity in wine after it has been bottled. Not enough oxygen and the wine may taste ‘too fresh,’ not having developed some of the taste complexity that comes with a period of oxidation. Still, Stelvin screw caps have caught on significantly in New Zealand, with approximately 70% of the wine bottled in 2004 being bottled with a screw cap, up from 1% in 2004. ‘Cork taint’ is kind of a misnomer because the cork itself does not affect the wine. The cork becomes contaminated with TCA which passes through to the wine. And not all wine contamination is caused by TCA, as there are many other ways your bottle can lose that magical taste; furthermore, not all incidents of TCA contamination can be attributed to the cork itself. TCA can actually be found in bottled water, screw top wines, beer, spirits, soft drinks, etc. That said, however, the incidents of TCA contamination have proven to be lower in screw top and synthetic stopped wines. Well, the most important variable in the wine stopper equation is the time frame that most wines are intended to be consumed within. To the point, around 95% of wine is made to be drunk earlier than later. In other words, the post-bottling oxidation element we talked about in the last section will likely not apply, in which case a Stelvin top seems to be the most logical option. 1. Traditional Oak Tree Cork — The classical vintage look and taste; culturally accepted worldwide. There is slight chance your bottle will suffer from contamination, but with TCA affecting 1-5% of wines, chances are you have nothing to worry about. Bordeaux and other oxidation-reliant wines will improve in taste-complexity over time. 2. Synthetic — Not as good for oxidation, more or less failing completely at 10 years. Much less of a chance of TCA contamination. Adequate, with next-generation alternatives coming down the line. 3. Stelvin — Offers the best protection against wine spoilage, will give a consistency from one bottle to the next, and will best preserve the aromas, flavours, and otherwise freshness of the bottle—plus it’s just plain easy get off, and to put back on. 4. The Others — They are used far, far less, and in the context of oxidation, achieve the same functionality as Stelvins. It would seem the jury is still out on the benefits of cork vs. Stelvin, but it looks like we will be seeing more Stelvin-type screw tops as vineyards and wineries are begining to break from dogma and recognize that many wine enthusiasts a want freshness, consistency, and the best possible taste. feed and look for­ward to seek­ing more of your fan­tas­tic post. Also, I’ve shared your web­site in my social networks!